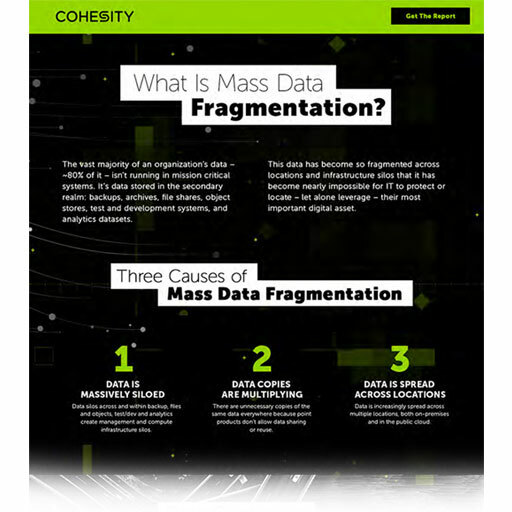 What is mass data fragmentation? Data is an enterprise’s most valuable digital resource. It should be a competitive asset, but instead data has become a costly and risky IT management headache. Secondary data has become so fragmented across infrastructure silos and locations that it is too complex for IT to protect or locate – let alone leverage. 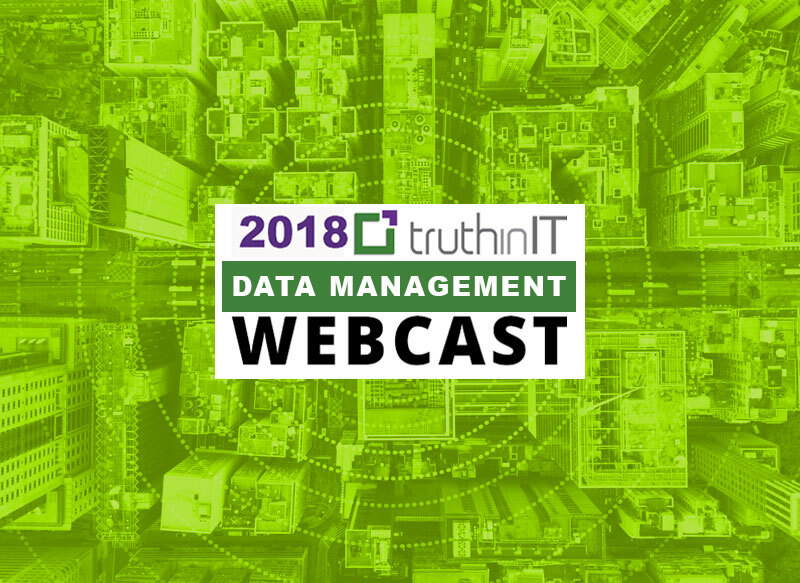 Learn how to identify mass data fragmentation and establish best practices across your organization for safely and cost-effectively defeating it. How do I know if Mass Data Fragmentation is a problem? New global research into secondary data defines the mass data fragmentation challenge and highlights ways to address it. Disconnected data islands are not only dangerous, but costly to a business. 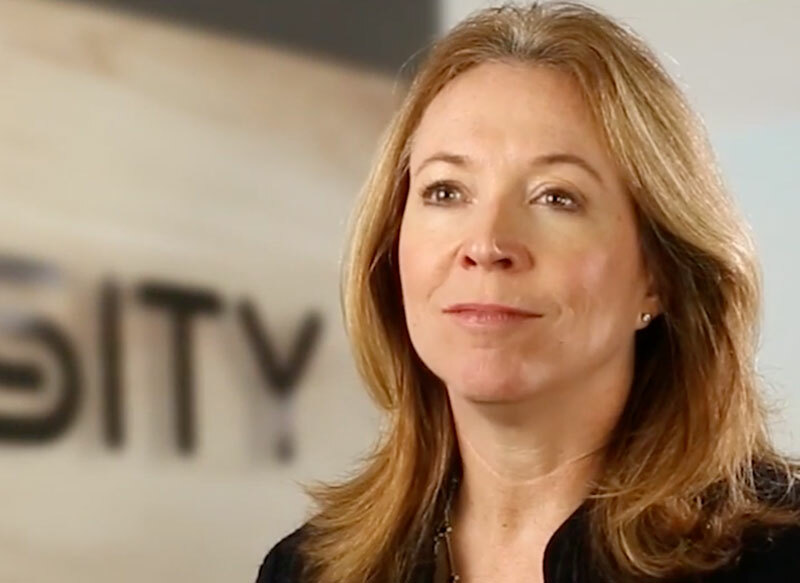 A successful cloud service provider offers perspective. Cohesity’s native integration with third-party applications will continue to simplify our entire backup environment. While previously we considered backup and unstructured data to be ‘dark’, Cohesity opens up a whole new world of insight to begin to leverage backup and unstructured data for business value, while addressing challenges of mass data fragmentation in the enterprise. ProPak has data stored in multiple locations and systems, and there is an advantage to not only consolidating and structuring data for better management, but to also leverage and access data for business value. The go-forward strategy for secondary storage and data fragmentation is a key priority. It’s imperative for AutoNation to secure solutions that seamlessly integrate backup and restore with our secondary storage across our entire environment. Looking ahead as a mid-stage, high-growth company, we are focused on solutions that not only meet our business requirements, but empower us to address mass data fragmentation head on. The connection between Mass Data Fragmentation and digital transformation. Zeus Kerravela, founder and principal analyst with ZK Research, explains. Mass Data Fragmentation compared to another globally important issue. Alan Cohen, member of the Forbes Technology Council, discusses.